A new gift card, believed to be the first of its kind in Scotland, is already making a huge difference during the January sales by helping to keep money in the local economy, according to independent Perth businesses. 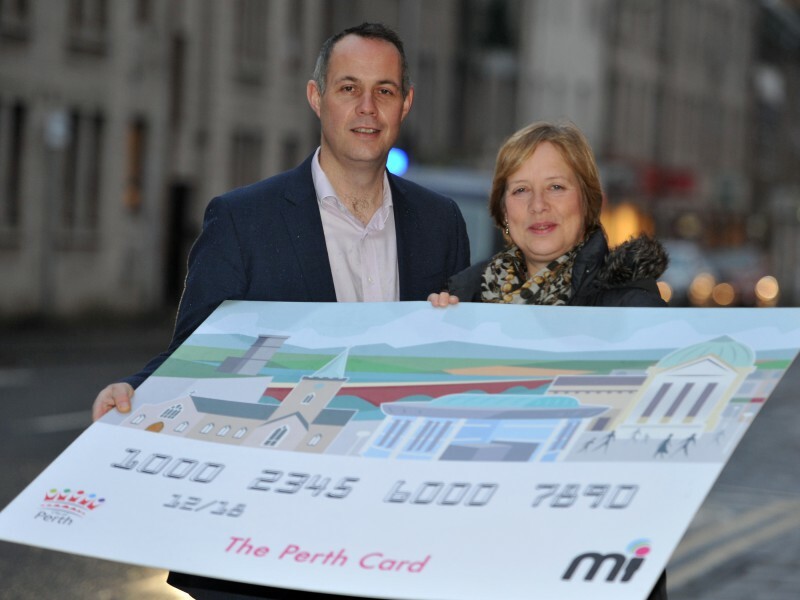 The Perth Gift Card programme allows users to spend their pre-paid money at some of the best-loved local retail and hospitality businesses that the City of Perth has to offer, with over £4,000 worth of cards already being sold – helping to boost the post-Christmas sales rush. The innovative scheme works like any other gift card but gives users the flexibility of spending however much they want in various different shops and restaurants, whenever they want. Leading Perth names to sign up to the gift card include McCash’s Country Store, Blend Café, Charlie Taylor Hair & Beauty, Exel Wines, Scone Palace and one of the city’s oldest independent department stores McEwen’s. Russell Wallace, General Manager at Exel Wines said: “The Perth Gift Card was an instant must for Exel Wines to get involved in. “The basic concept just seemed so innovative yet simple and ultimately useful for customers as a whole. “Within the first few days, 22 people bought the card just from us, and we are certain there will be many more to come. Alastair Taylor, Managing Director at Charlie Taylor Hair & Beauty, echoed this enthusiasm saying: “We are delighted to be involved in this, we think it is a fantastic initiative. “We are always looking for ways to keep business local, so we were thrilled when this gift card was introduced as it helps keep spending in the town – be it from someone local or a customer who is visiting Perth. Digital Marketing firm Miconex, which launched the card in partnership with Perth & Kinross Council and Scandinavian firm Presend, believes it is the first of its kind in Scotland, but is hoping to roll-out similar card programmes across the UK. Similar projects in Scandinavia have generated as much as £500,000 to the local economy. Colin Munro, Chief Executive at Perth headquartered Miconex, said: “It essentially works in exactly the same way as any gift card, but instead of being limited to one retail outlet this can be used in various unconnected shops throughout the city. “And it can also be used for more than just shopping. Perth Concert Hall has signed up along with other local attractions and venues. There are jewellers, award winning restaurants and cafes, specialist retailers, hotels and of course some great options to pamper yourself. “Therefore, as long as the person has enough money on the card, they could go for a haircut, do some shopping, take in a show and then go for a nice meal, and if there’s any money left over they can just save it until the next time they want something in Perth. The cards themselves can be purchased online or in person at four specific businesses in the city; and plans are underway for a kiosk to be introduced that will enable cards to be purchased on a self-service basis. Perth & Kinross Council’s City Development Team has been keen to support the project and helped fund some of the initial cost for the businesses involved and much of the initial marketing expenditure. 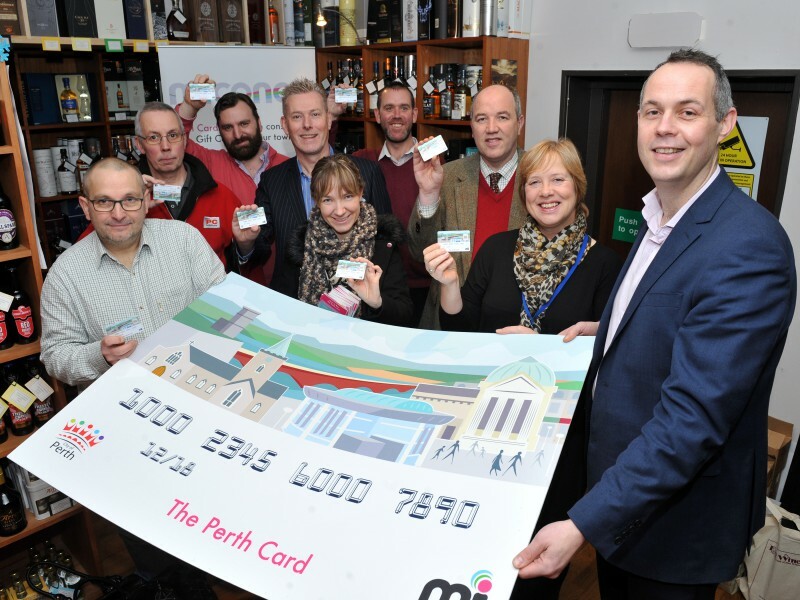 David Littlejohn, Head of Planning & Development at Perth & Kinross Council, believes the gift card has already hugely benefited the independent business in Perth and the local economy. He said: “I’m really pleased to hear of the instant impact that the Perth Gift Card has had for such important local businesses. “The Perth Gift Card has really helped to promote the “shop local” ethos. We know that Perthshire people are proud of their region and keen to do whatever they can to keep the money in the local economy, and this project has allowed them to do this. “The card has also proven popular with people from across Scotland, who have bought for friends who regularly visit our city. Find out how you can increase your media profile in 2016 by calling us on 0131 561 2244 or filling in the contact form below and we will get right back to you.